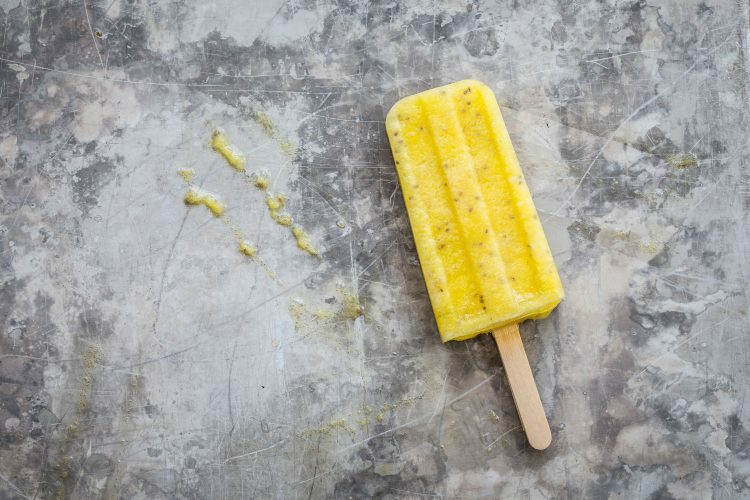 Simple, 3 ingredient Pineapple Chia Popsicles are the no-fuss treat your Summer needs! This might be the summer of pineapple. I’m having a weird compulsion to buy pineapples every time I’m at the store. They’re just so cute with their round shapes and cute hairdos. 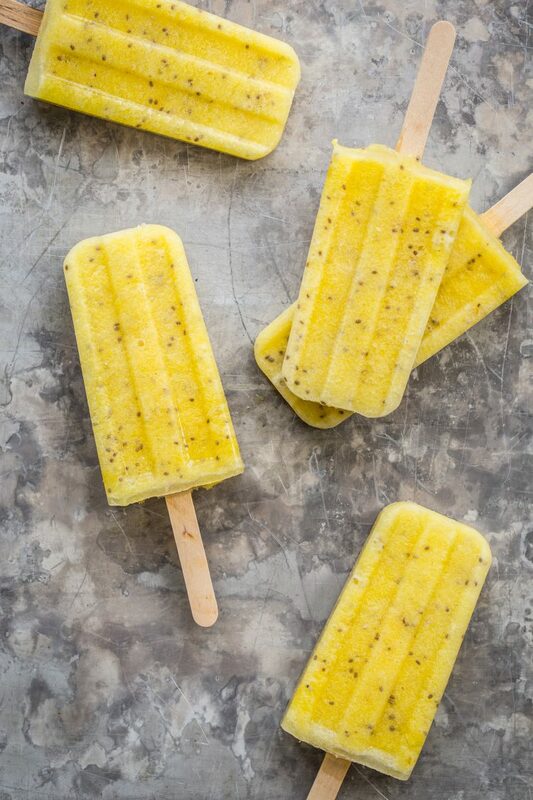 A couple of weeks ago, I shared a grilled pineapple s’mores and today I’m here sharing these insanely simple pineapple chia popsicles. 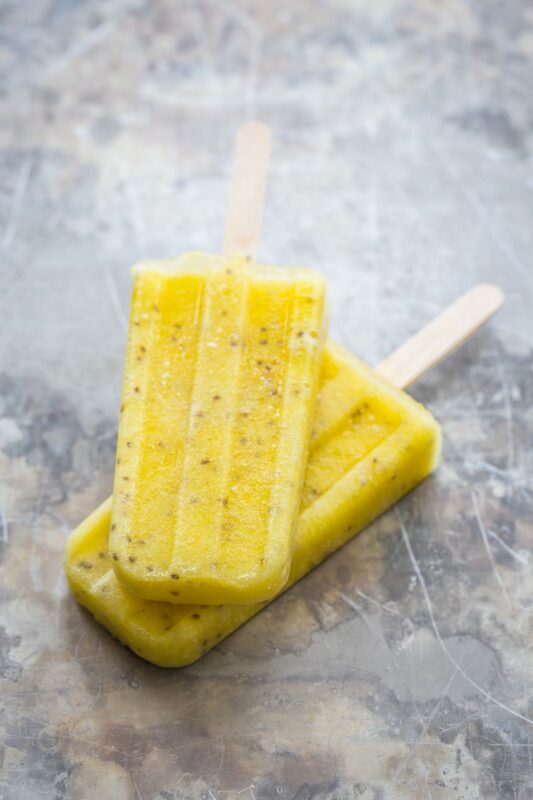 These are a slight twist on my Mango Chia Popsicles from a few summers ago (which remain a favorite in our house). It turns out that summer time to embrace simple recipes. Recipes with short ingredient lists, minimal time in prepping, and bright fresh flavors. This means it’s pretty much the best time to throw some fruit in the blender and turn it into something frozen and delicious. Luckily, my family is as pineapple obsessed as I am. I made some pineapple goat cheese toast with pancetta the other day and have a batch of pineapple kiwi shrub in the fridge. I guess this is what happens when you keep buying pineapples, you need to find some creative uses for them. That’s all there is to it. When they are done freezing, I like to pull them out of the molds and wrap them in plastic wrap to store in the freezer. That way it frees up my popsicle molds to make a new batch of something. I’m thinking these creamy vanilla berry popsicles are up next. 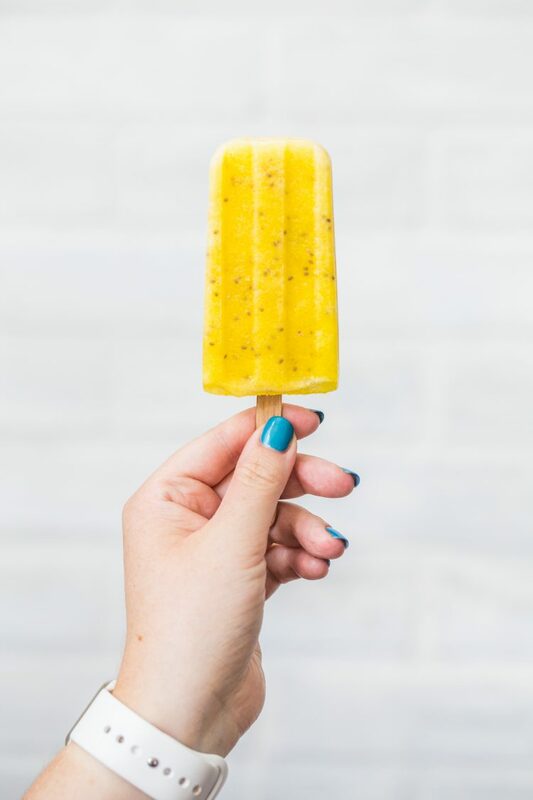 Interested in another fruit chia popsicle? I shared my strawberry chia popsicles over on Hello Glow. Here’s to a summer full of simple, no-fuss recipes! Blend pineapple and water in a blender. 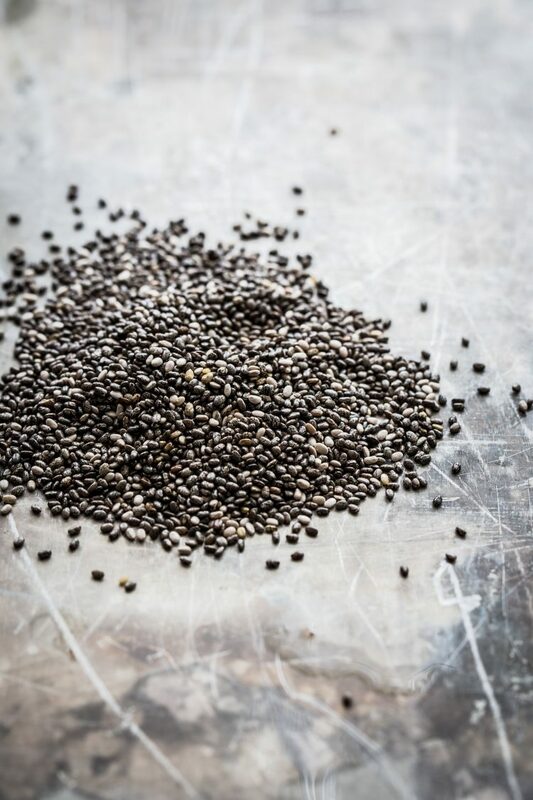 Add chia seeds and blend on low until seeds are evenly incorporated. 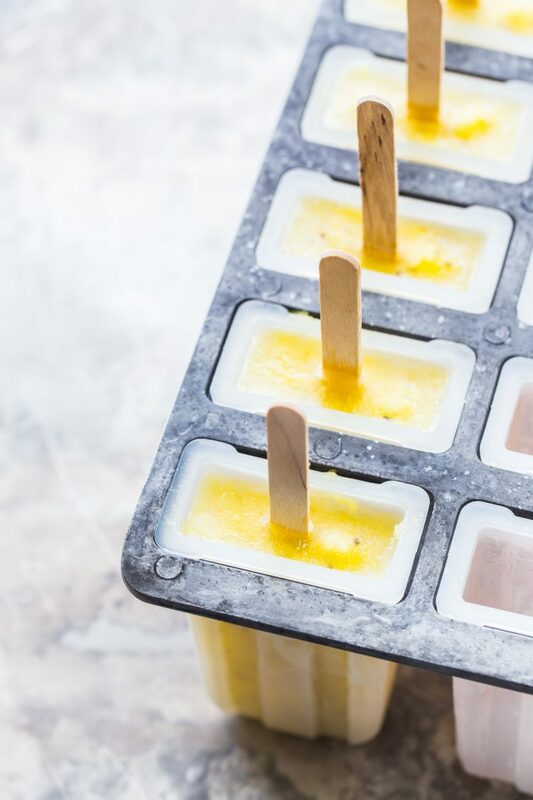 Pour mixture into popsicle molds, place in sticks, and freeze for 8 hours or overnight. Yum!! 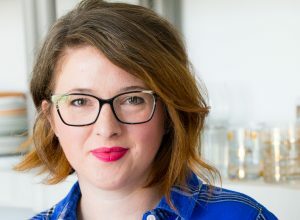 I have been on a pineapple bender lately and was searching for another recipe to try and this is perfect!! !